Well, you know what they say, when in Rome do as the Romans do… Alright, so you may not actually be in Rome but still it’s never bad to do as the Romans do! After all, they built Rome in a day, right? Hmm. Maybe not, but either way, you can’t argue with their great sense of fashion! The Romans were experts when it comes to the art of war and the business of politics. Those are two very stressful trades that the Roman Empire excelled in. So whenever given the opportunity to take a break from it all, the Roman’s took full advantage. Their leisure time started with the garbs they wore, loose fitting togas and sandals. 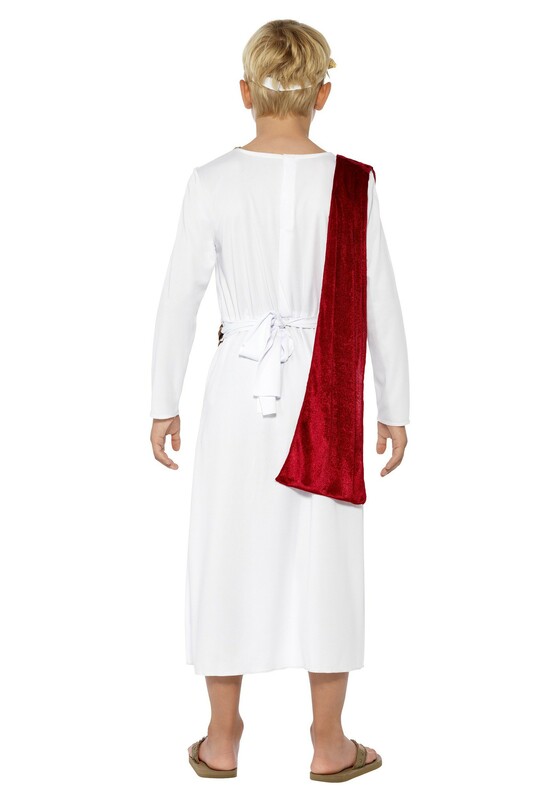 Nothing says laid back more than a toga, however, they aren’t as common nowadays as they once were. 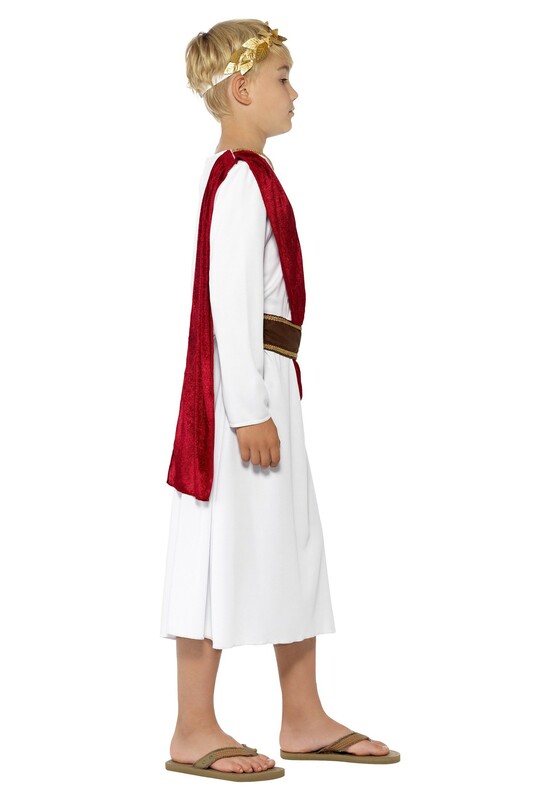 So, with this awesome Roman Boy’s Costume, your little Emperor will instead be fitted with a cozy robe that matches the style of ancient Roman fashion. There is even a red shoulder drape to give the outfit a more authentic feel. Once you grab your kiddo a pair of Roman Sandals his transformation will be complete! He’s sure to give everyone a delightful blast to the past with this historic costume. 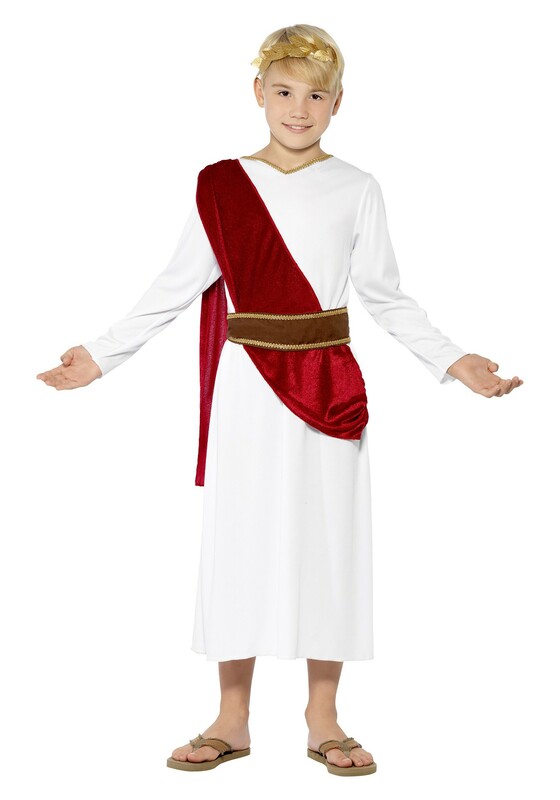 Whether your little Caesar wants to go around the block and collect candy this Halloween or travel back in time to witness some extravagant gladiator games at the Colosseum, he’ll be ready for it! A rather royal experience awaits him with this costume.